We offer more than just online design. Your company communicates every day with both potential and existing customers. Some of these conversations will be through verbal or written means, but visual communication is an integral part of any company's corporate identity - and should definitely be part of your marketing plan. Logos, business cards, and product packaging are ubiquitous and vital in today's market. Here at Infogenix, we're not just a web design and development company, we also work heavily in print design and branding. We custom design logos in many different styles and for businesses in many different industries. Our designers are skilled at creating custom products such as business cards, product packaging, stationery, and more. The first step in making your brand recognizable for your customers is to create a logo. Stripped of all the buzzwords, trends, and gimmicks, logo design is a vital form of visual communication. By combining images and typography, your company's logo can effectively convey your brand, products, and mission to your customers. We have extensive experience creating unique, meaningful logos for our clients in numerous styles. 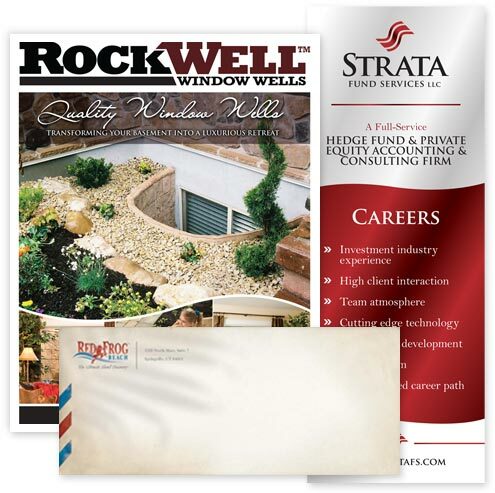 Need your logo on a letterhead or a brochure with the same feel as your website? We do that, too.